A tutorial on how to swirl together multiple frostings for decorating. Ever see something on Pinterest and think to yourself, “Oooh that looks so fun!” And then the next thought to yourself is “It’s probably waaaay too complicated. I don’t have time for that.” Or is that just me?? That was my first thought when I saw people swirling frostings together. Until I looked into it and played around with a few different methods to find an easy, not so messy way to do it myself. Now don’t take this little how to post as me suggesting I am any kind of expert on frosting, or decorating, or cupcakes. The only thing I would consider myself to be an expert on is eating the cupcakes 😉 But I am hoping that my little method may help someone out there who feels just as lost as I did when I wanted to make a pretty swirl. Because sometimes in life you just want multiple colors, or in my case multiple flavors of frosting to go on top of a cupcake. My preferred method is to put each frosting into it’s own piping bag. 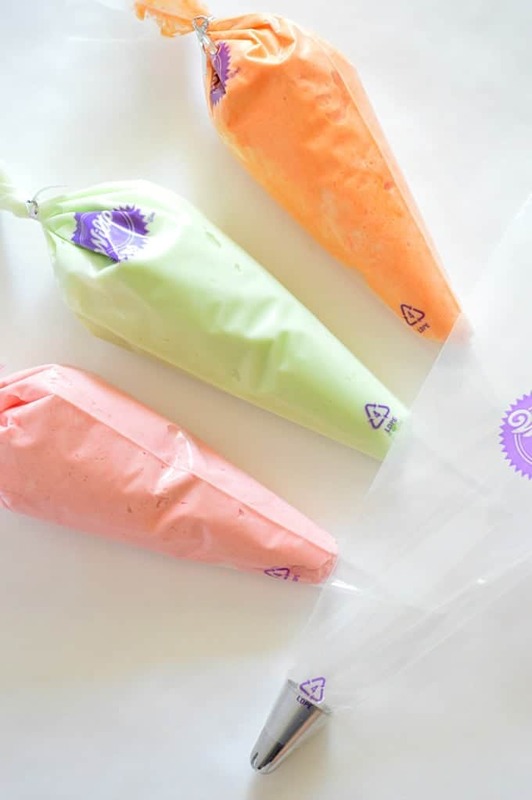 You want to do your best to squeeze it down towards the tip, remember you will be cutting the tips of the bags later, so it doesn’t need to go all the way down. Get as much air out of the frosting as you can, otherwise the air bubbles will interrupt your frosting mojo once you get going. 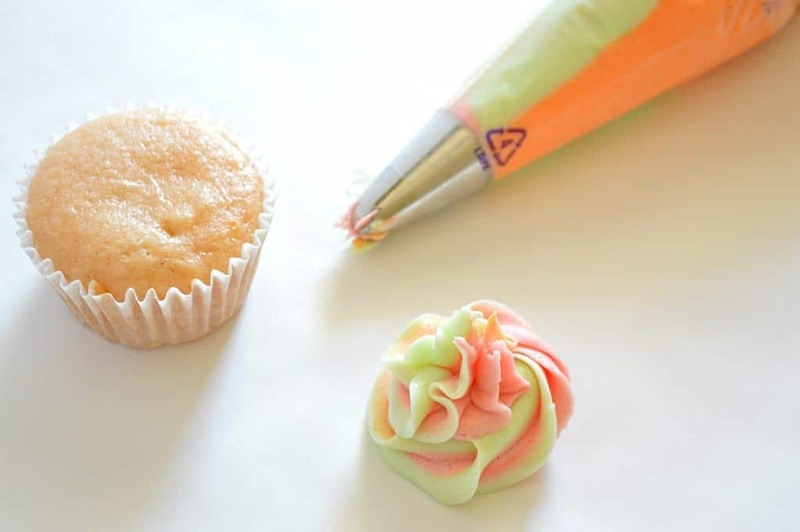 Then prepare a fourth piping bag with the frosting tip of choice. This is the Wilton 2D tip I have on mine. I know this may seem like a lot of bags, but once you get past two frostings, it gets reaaaalllly messy trying to put it all into one bag. Trust me. I’ve been there. Now we can cut the tips off the bags holding the frosting. 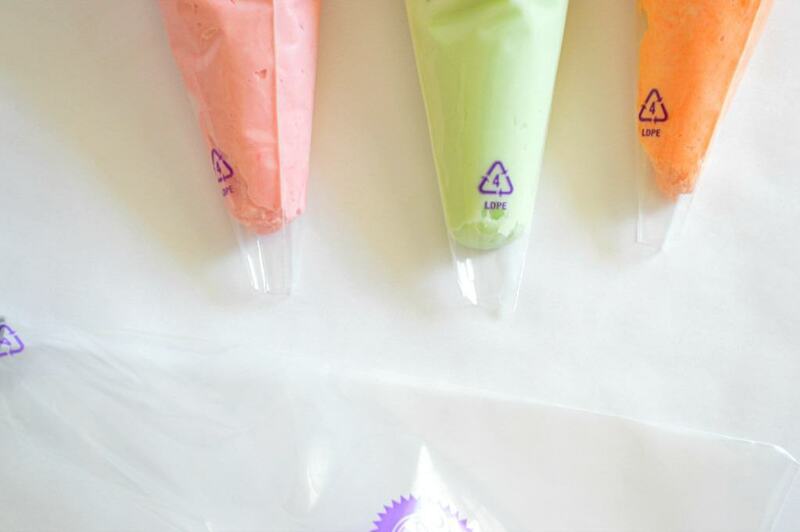 And you probably guessed it, they all go into the empty piping bag with the tip. It does get kind of crowded, you’ll notice the orange frosting is a bit higher up than the others. But no worries! I will show you how to handle it! Now we have all the frostings in one bag. We will want to squeeze out some of the frosting until we get to where all the colors are coming out. Like I pointed out, the orange frosting was a bit higher up. Who knew I could ever have the problem of too much frosting?! 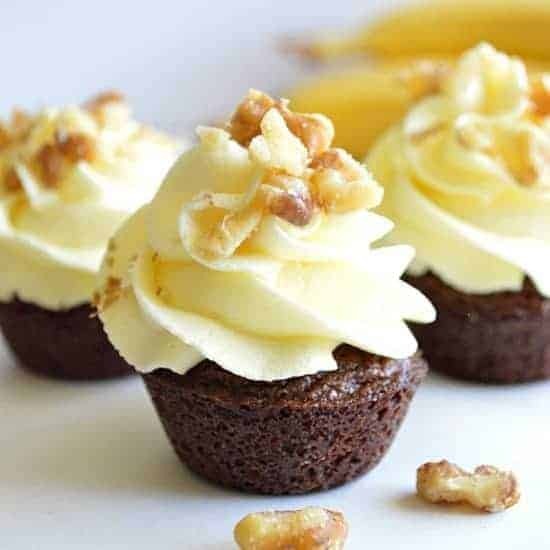 Squeezing out a little off to the side will make sure that you’re frosting is coming out just how you want BEFORE you attempt your cupcakes! Look at that beauty! All three colors, and flavors, perfectly swirled!! And we’re ready for a cupcake! Beautiful isn’t it?! It’s sooo delicious too! I bet you’re just dying to know how I what it is! No worries! 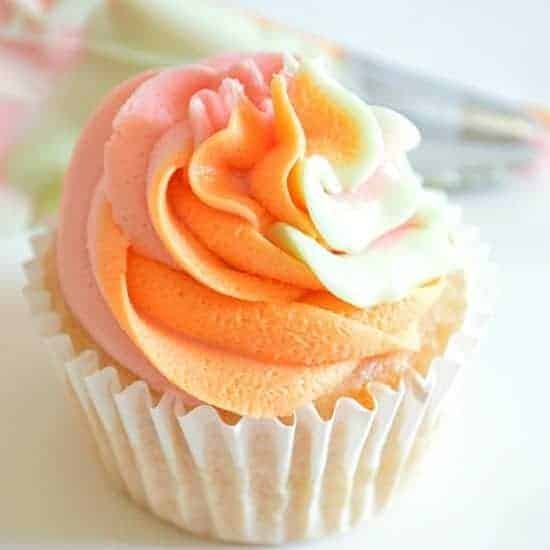 You can find these Rainbow Sherbet Cupcakes here! 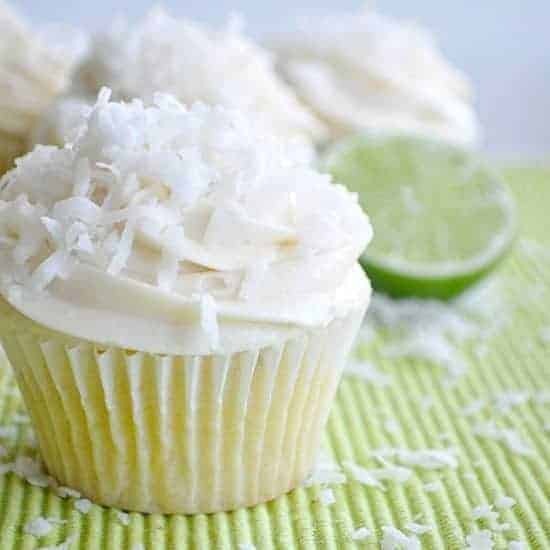 Plus make sure you check out how to make the Perfect Vanilla Cupcake here too! The perfect cupcake base for any type of frosting creation you can come up with! Don’t forget! Go visit The NY Melrose Family for these Rainbow Sherbet cupcakes!! It looks so easy! Thanks for the tips! I’m gonna have to try it. It is so much easier than it looks Mallory 🙂 Let me know when you give it a try! What a great tutorial! I’m always so intimidated by frosting. Beautiful is right! I’m totally trying this technique for my son’s birthday! Beautiful—-looks like you conquered the Texas heat!! The swirled frostings look so pretty, I am going to have to try something new and try this. I am already wondering what colors I might want to try. I am thinking red, green and white would be really pretty for Christmas! Thanks for the tip! Thank you so much Chloe! Loving the idea for Christmas! I think that would look gorgeous. Can’t wait to see some pics of what you make! What a great tip! Those cupcakes look beautiful! Wow. I love this swirled frosting! How cool is that?! I’m frosting challenged, which is why I have ONE cupcake recipe on my blog and it has a glaze frosting, lol! Will you give me lessons?! 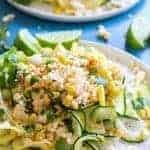 😉 I’m heading over to The NY Melrose Family to grab this recipe! xo! Haha, yep, that is so me. “Too hard and time consuming!” I have always wanted to swirl frostings though. Love how you got double mileage out of this post – recipe at NY Melrose Family and tutorial here! High five! 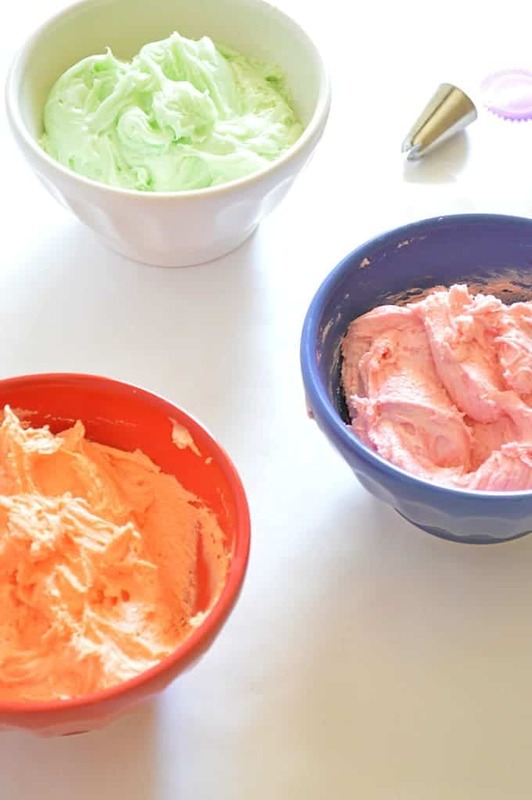 These frosting colors and so fun and are spot on to sherbet. Great post Serene! Thanks Mary Frances 🙂 The frosting turned out better than I thought it would. It was so fun. 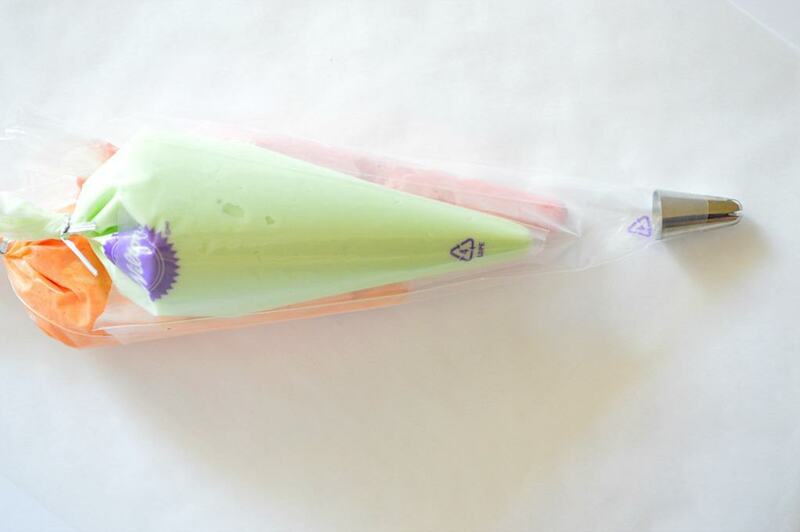 And made my house smell like sherbet! Winning all around! I am so so so so so happy you posted this, Serene! I am the worst when it comes to frosting anything, but you make this look so simple! Love it! Thanks Justine! I hope it helps you out! I am always still learning about frosting. Which just means we need to make more desserts, so we can practice! I’m so glad Lindsey!! Doesn’t the frosting just smell heavenly? I need to make another batch 🙂 I’m so glad you enjoyed them! I’ve never made my buttercream with butter or heavy cream before– I usually use high ratio shortening and water. 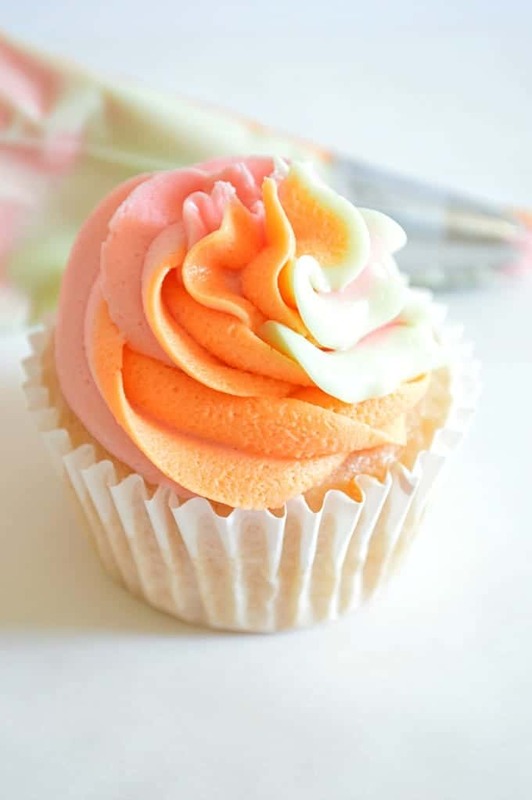 When using butter and heavy cream – do you need to refrigerate the Rainbow Sherbet cupcakes once they are frosted? 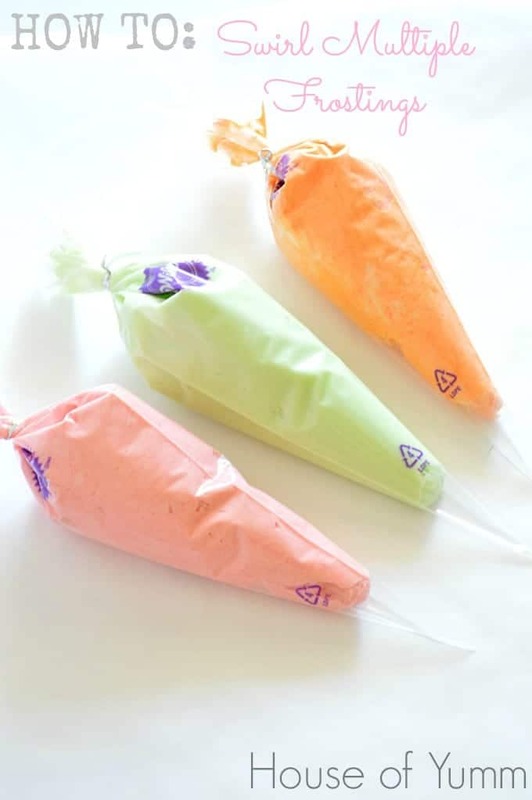 I’m making them for my niece’s birthday this weekend and my sister won’t have a lot of room in the refrigerator. I would also like to display them in a stand. Hi Kelly! Great question! The sugar in the frosting actually acts as a preservative so the cream won’t go bad. If it’s super hot outside I would suggest keeping them in the fridge if you won’t be serving them soon. But you should have no problems keeping these out at room temperature on display 🙂 Let me know how it goes! 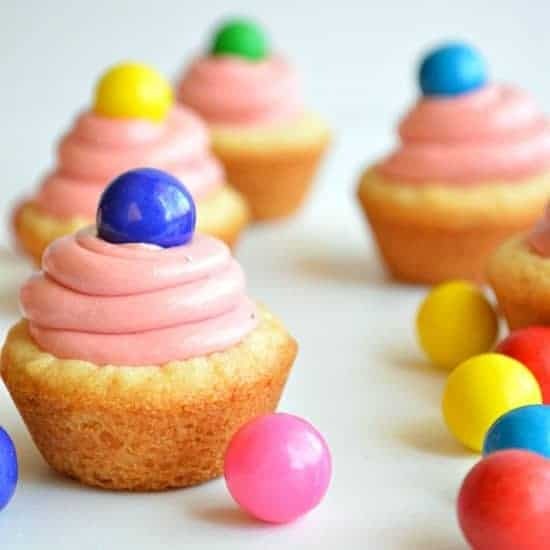 Serene – I was able to find the strawberry shortcake and orange crème flavor frosting mix for the Rainbow Sherbet cupcake frosting, but the stores in my area do not carry the key lime. I guess I could make a whole batch of key lime frosting and swirl it with the others, but a lot would go to waste and I’m not sure about combing different types of buttercream. 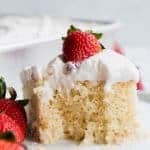 Have you ever made this recipe without the key lime flavor packet and if so what did you add to that small amount of frosting to get the flavor/color? Any help would be greatly appreciated. 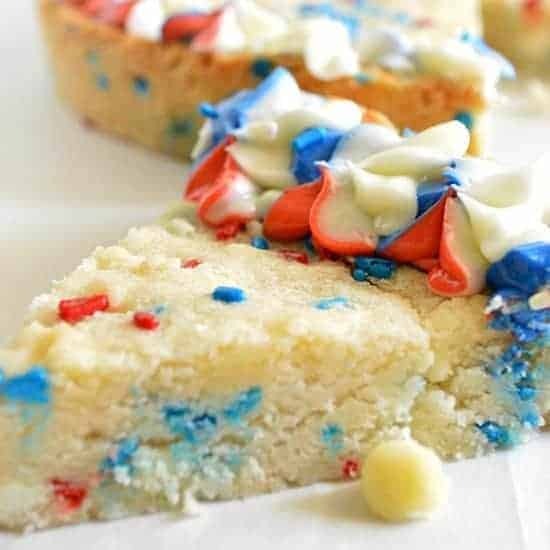 I need to make them today for my niece’s birthday. Thanks! Hi Kelly, I made them before using the two flavor packets for strawberry and orange and with I believe it was the Pillsbury frosting in Key Lime flavor. It’s a premade frosting they sell. It is different consistency than the other frostings, slightly softer, so it comes out when frosting a bit quicker. But the flavor is spot on and they still look great! Just a slight bit more ruffling on the green frosting. You could always just use a green food coloring to get the green look and the flavors of the other two will still be wonderful! 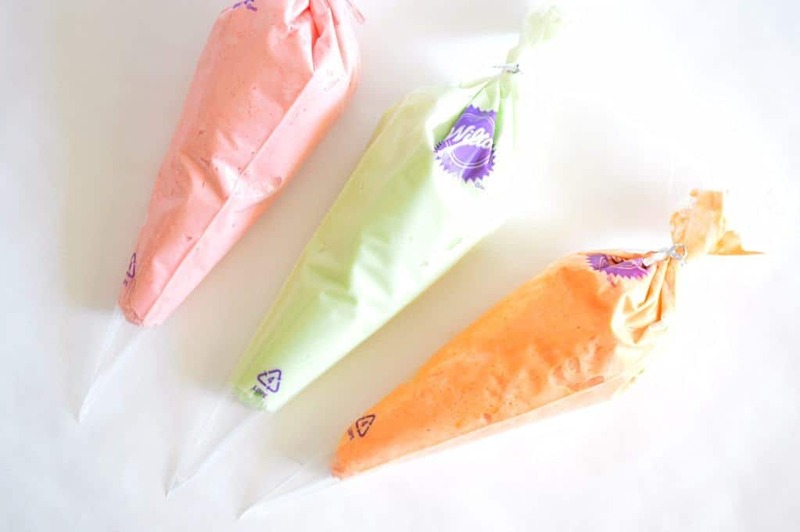 Did you fill 12″ icing bags and put them in a 16″ bag, or did you use all 16″ bags? Hi Finn, I used all 16″ bags, that’s what I had on hand, and it worked well because it filled them all up! If you use smaller bags you may have to refill between frosting cupcakes. 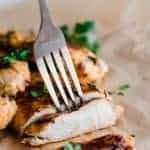 Hello, I just came across your recipe. I would to make them but I can’t find the Duncan Hines Flavor Creation Packets. 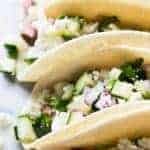 Is there and thing else that I can use to make the flavor icing with? Hi Paula! Yes! You can still make the frosting flavors. You should be able to find extracts with those flavors and use those. Or if you’re looking for a cheaper/quick solution you can add dry jello mix to frosting, but it will make the frosting slightly gritty. My recommendation would be to just use an extract and food coloring to get the same look and flavor 🙂 Hope that helps!